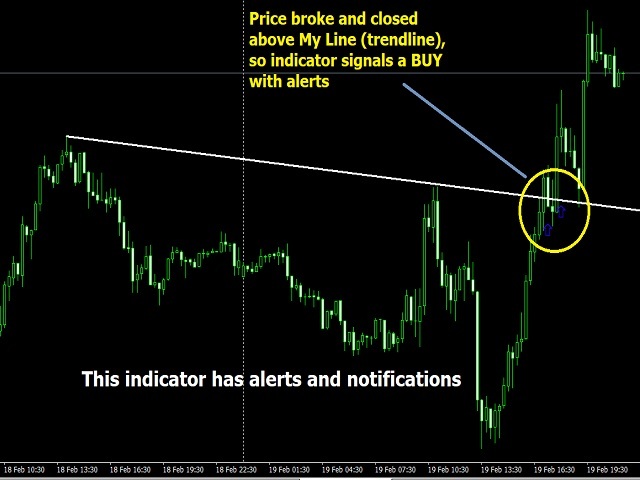 This is a semi-automatic indicator that shows buy and sell arrows when your trendline (or horizontal line) is broken. You must first draw your lines, it will alert you of breaks through email, pop-ups, etc. 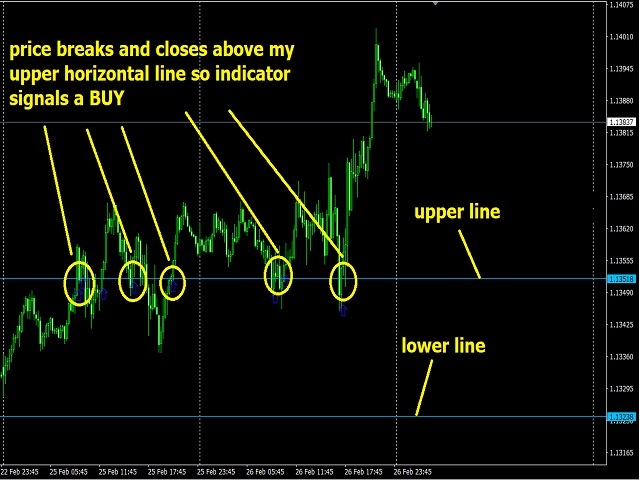 It is important that you use just two main lines to avoid confusion, because the indicator signals BUY when the upper trendline or upper horizontal line is broken, and it signals SELL when the lower trendline or lower horizontal line is broken. It can be used for any currency pair and any timeframe without problems. 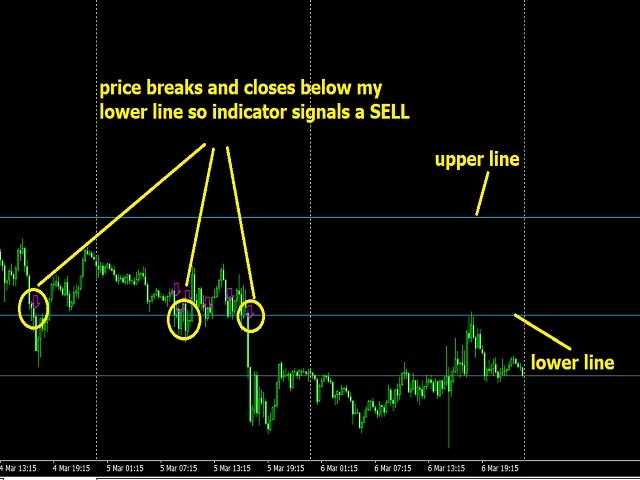 It can be used for all trading styles: Scalping, Day Trading, Swing or Long Term Trading. It is very simple and easy to use, even a newbie can make a great progress with it. Contact me even you need anything. NB: I have an EA(trading robot) based on this same indicator.